Lucas has been trying out Funky Giraffe Bibs* this week and they couldn’t have been gifted to him at a better time as he is really dribbly at the moment from teething. He now has two bottom teeth and a top tooth popping through. Funky Giraffe have an amazing collection to choose from, there are so many designs that I struggled to decide which to get first. As well as the bandana bibs that I chose for Lucas they also do ‘posh’ satin bibs (I wish I had realised sooner for Lucas’ Christening), square bibs, personalised bibs, socks, scratch mittens, scarves and bigger bandana bibs suitable for older children and adults. As well as their UK website, they also have other European sites, an Australian and American site. The bibs are made of …. and are safe from all hazardous dyes, they use water based dyes for the printing rather than solvent based which a lot of manufacturers use. 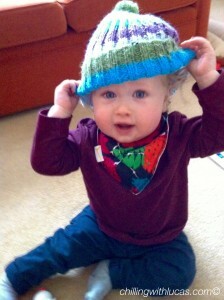 The bibs feel beautifully soft and the shape of them means they fit round Lucas’ neck perfectly without irritating him. Lucas has started trying to pull his usual bibs off but he didn’t try once with these and I put them on when dressing him in the morning and he kept them on all day. The quality is fab, when the bib felt wet from the outside, the underside remained dry. They also have 2 sets of poppers to ensure you get the fit you want and should mean they will last longer. 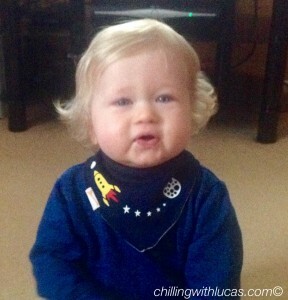 Lucas has been wearing them on the shorter ones so the bibs can grow as he does. Another thing I like about them is that the more you buy, the cheaper they become. An individual bib costs £4 but you can buy 10 bibs for £20 halving the price of them. Postage is also free within the UK when you spend £7. I would get a selection of the bandana bibs!!! I think one of the sets and a burp cloth. I like the spotty socks and the whale socks. 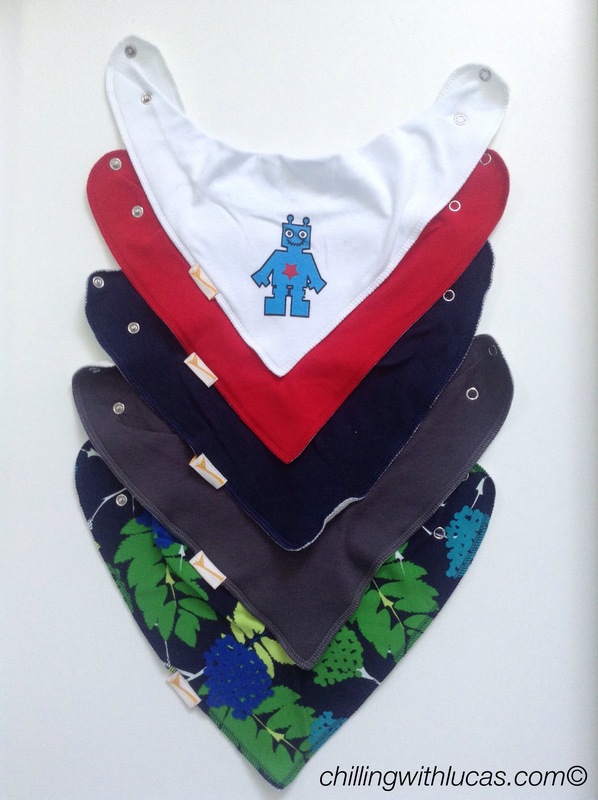 I’d choose a range of bandana bibs – including the black and white spooky ghosts and the lilac unicorn! I’d choose some of the bandana bibs for my little dribbler love the white roses one and the multi coloured Scribble stars. I love them all! It’s impossible to choose just one! Lovely post! We love Funky Giraffe Bibs – I’ve definitely found them to be the best for teething dribble! My son Oscar would be so cute in these! I love the Mixed Set of 5 Funky Giraffe Bandana Bibs. I like the Mixed Up Set of Funky Giraffe Bandana Bibs (Set of 5). But the personalised ones are a great idea for a gift too! So hard to choose as I like them all. So many to choose its hard to pick just one. Red, White & Yellow Daisies Bandana Bib. I’d love to spend the voucher on some of the large bandana bibs to keep my little dribble monkeys chest dry. I really love the White Safari XXL Bandana Bib.